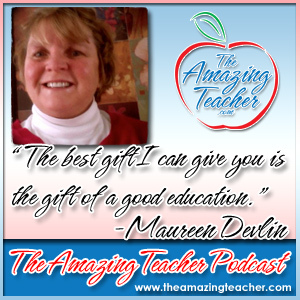 This week, I had a great conversation with Amazing Teacher, Maureen Devlin. Maureen has a website called Teach Children Well where she shares her thoughts on teaching, teacher collaboration and learning design. 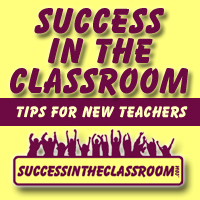 In this episode, Maureen shares many great pieces of advice for new teachers and soon-to-be teachers. One of the topics we speak about is the importance of quality collaboration. Maureen and I have a discussion around the Professional Learning Communities (PLC) collaboration model. One of the best parts of the interview is when she shares about the Servant Leadership model of teaching that she has adopted. She shares that in the beginning of the year, she tells her students that she is there to serve them. I thought this was a great way to build that positive relationship with students that is so critical to a successful year. I really had an amazing time speaking with Maureen about all of these topics. I know you will also enjoy what she has to share on the show. Thank you again for spreading the word about The Amazing Teacher Podcast.